Salman Khan’s Eid release Race 3 cruised through the weekend but seems there is trouble ahead. Directed by Remo D’Souza the film opened to the 2nd highest weekend of 2018 with a smashing 106.47 crores. After taking a 50% dip on the first day of the week, the film managed to collect 14.24 crores on Monday. The grand total of Race 3 stands at 120.71 crores in India alone. Looking at occupancy in theaters the film is going to crumble further. According to the reports coming in, the film is seeing approximately 20% occupancy across India as of Tuesday. Further, single screens which performed good in some circuits on Monday will register a drop in occupancy on Tuesday. 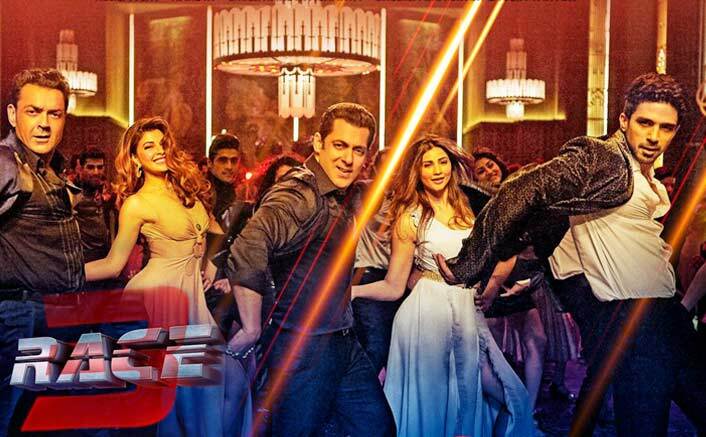 Race 3 Box Office: It Is Already Jacqueline Fernandez’s 3 Highest Grossing Movie! The film has received negative reviews from critics and a bad word on the streets. Director Remo has nailed the action but has twisted the storyline way out of Indian audiences imagination, this probably is one of the key reasons for the sudden dip seen in numbers and percentages. Salman Khan’s next is a production venture where his brother-in-law Aayush Sharma is in the lead. Loveratri the film is scheduled to release on September 21st, just in time for Navratri. The post Race 3 Box Office Day 5 (Tuesday) Early Occupancy: Is A Major Drop In Cards? appeared first on Koimoi.